Shalom Tours Uganda :: JEWISH LIFE IN UGANDA KOSHER TOUR AND WILDLIFE SAFARI 12 days. 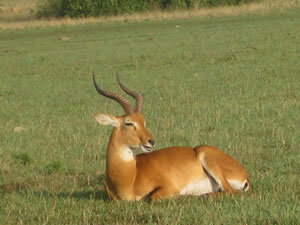 JEWISH LIFE IN UGANDA KOSHER TOUR AND WILDLIFE SAFARI 12 days. Day 2: Transfer to Mbale with a visit to the source of the Nile. Today we transfer to Mbale via the source of the Nile and a visit to the Bujjagali falls, lunch will be in Jinja then later continue to Mbale where we check in at Mount Elgon Hotel for dinner and over night stay. Today we prepare for the Shabbat eve service at Nabugoye Hill. Back to the lodge for dinner and over night stay. Day 3: After early morning breakfast, we shall join or be joined by the Abayudaya Jews at Nabugoye Hill for the Shabbat service, we shall have lunch with the Abayudaya, back to the hotel. Today we have dinner at the hotel then Havdalah at 7 pm at Nabugoye, later to the hotel for over night stay. Day 4: Early morning at leisure and relaxing at the pool, and visit Mbale town and shop or order for the African fabrics which will be sowed and brought later in the days, after lunch we shall get our shuttles to join all the Abayudaya communities at Nabugoye Hill for the Abayudaya Music and Dance Festival. Day 5: Today after breakfast, we shall take a tour of the Abayudaya schools then the Namanyonyi synagogue, back to the hotel for lunch, then later in the afternoon we shall meet the Mirembe Kawomera coffee farmers in Nangolo and learn more about coffee farming and processing. Day 6: After breakfast we visit the Namutumba and Nasenyi Synagogue, interact with more Jewish communities. Day 7: We visit the Sabinyi traditional caves in the afternoon after a hike to the sipi falls, one of the beautiful falls still left in Africa. Over night at Mount Elgon Hotel Mbale. Day 8: After breakfast we shall have a Mitzvah volunteer day, we shall teach and have optional games with the local Abayudaya community. We shall transfer to Kampala where we have a visit to the craft centre at the National Theatre, before shopping we shall have our lunch then later transfer to Entebbe Botanical Beach Hotel for our last dinner and over night in Uganda. End of our trip, come again.